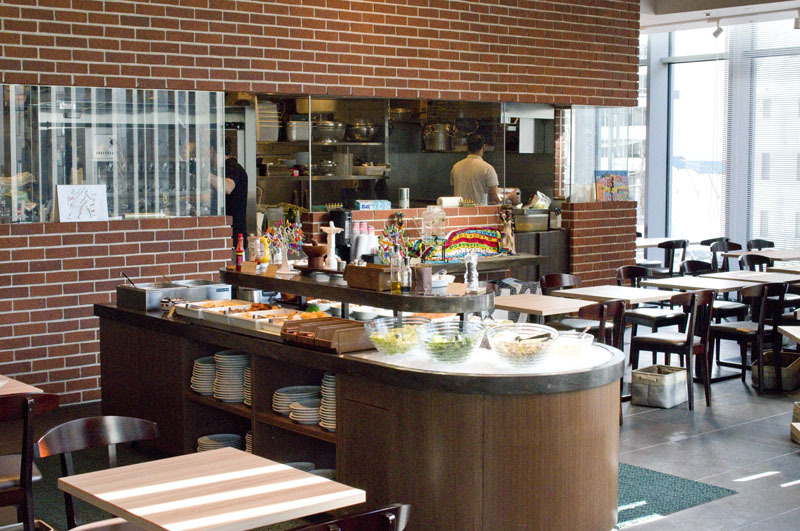 Among Brazilian churrasco restaurants in Tokyo, Que Bom's lunchtime Brazilian buffet is an especially good deal. 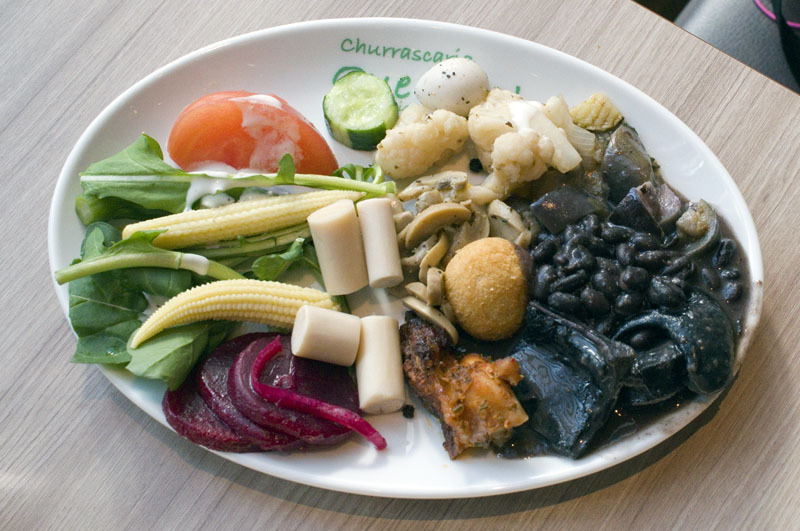 A churrasco plate with three kinds of meat plus the buffet is just Y1280, and you can add on extra servings of meat for Y100 a piece. 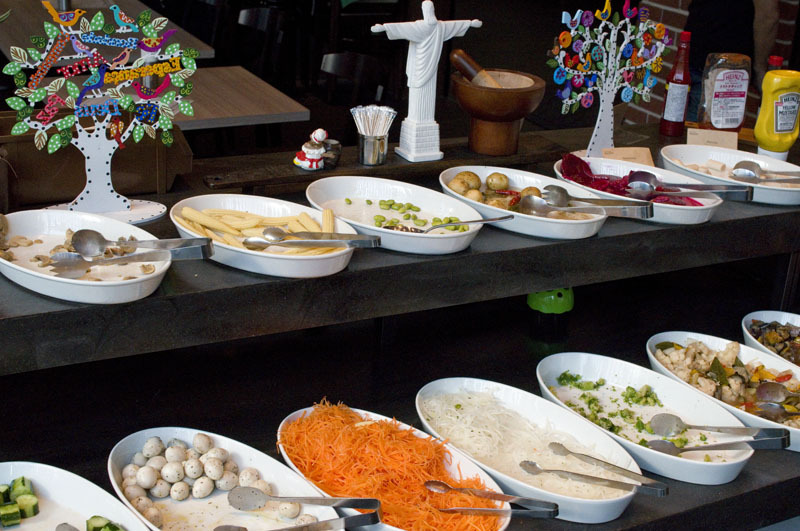 The buffet table is nicely laid out with salad-bar greens and vegetables (such as hearts of palm), a nicely prepared feijoada black-bean stew, chicken stroganoff, garlicky fried chicken and several other non-salad items. 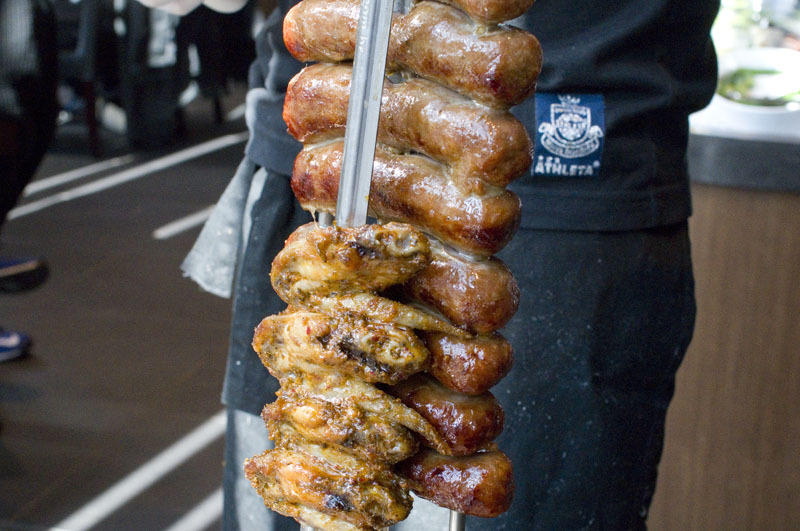 If you're feeling especially carnivorous you can upgrade to an all-you-can-eat churrasco lunch option for Y2980. In the evenings the all-you-can-eat churrasco and buffet dinner is Y3980, and it includes 14 types of churrasco and an expanded buffet selection. Drink options include Brazilian wines (from Y3200 a bottle), caipirinhas and other cachaca-based cocktails, fruit juices and guarana, and "Denki-Bran" and other shitamachi-style drinks inspired by Que Bom's roots in Asakusa, where the main branch is located. 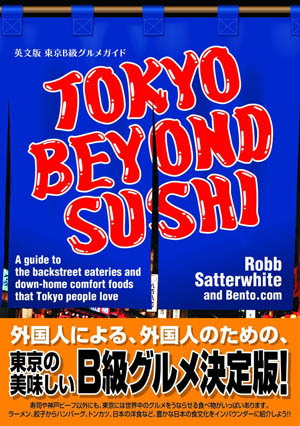 The dining room is relatively spacious and includes a lot of window seats, and the invigorating Brazilian background music is more wide-ranging than is usual for Tokyo. Minato-ku, Shimbashi 4-1-1, Shintora-dori Core 2F.